Throughout my childhood, family movie night was more than a chance to gobble popcorn and convince my brother that we had to watch Mulan again. It was an opportunity for inspiration. I remember seeing Harry Potter for the first time and being motivated to study harder after Hermione’s spell knowledge paid off in battle after magical battle. When it comes to music, there are oodles of great films that just may leave your children more excited than ever to get at their instruments. So, break out those snacks and read on for five musical movies perfect for family time. along to Rhapsody in Blue. “I believe in music the way some people believe in fairytales.” What a lovely way to introduce your children to the magic of music! August Rush is chock-full of catchy guitar riffs, inspiration and an infectious enthusiasm for all things instrumental. I can’t think of a better summertime musical film! 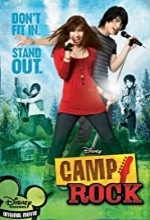 Camp Rock celebrates individuality and confidence; It’ll have your little ones feeling performance ready in no time. 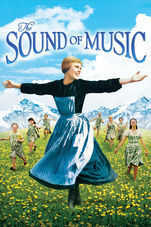 No musically inclined movie list is complete without The Sound of Music! This classic film will have the entire family singing along. Psssst there’s even a bonus music theory lesson in the form of the “Do-Re-Mi” song. This adorable movie was one of the first things that inspired me to pursue a future in music. 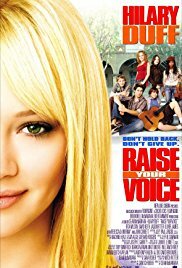 Hilary Duff overcomes the trials and tribulations of a rigorous vocal summer program and discovers her true potential. Be fair warned, the songs in this film are so catchy, you may find yourself humming along for days! Older PostConnections: The Musical Scientific Method?